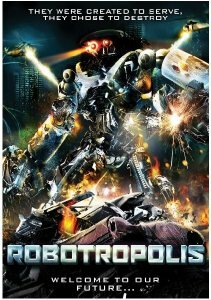 Designed as slaves and programmed for a life of servitude to humans, the robots have finally turned against their masters and are seeking bloody revenge..
A triumphant day turns into a fight for survival in the corporate-owned 'New Town' when a news crew are invited to broadcast the opening of the largest robot-only run facility and the dawning of a production revolution. Outwardly the robots "live" harmoniously with humans, providing service and security, but things take a frightening turn when the robots suddenly revolt. Without warning, a young correspondent is caught inside a terrifying killing zone and must do the best she can to survive the rampaging machines with the world watching live.